A Royal Enfield Classic 350 was spotted at a dealership equipped with OEM (original equipment manufacturer) alloy wheels. The alloy wheels on the motorcycle will be offered as an option at a cost of Rs 10,500 including fitting charges. As reported earlier, the old siblings, the Interceptor 650 and the Continental GT 650 could also receive the same treatment. 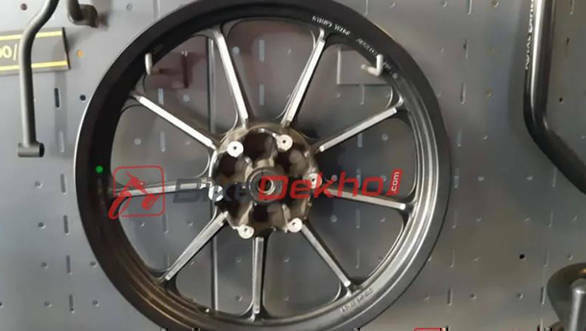 The alloy wheels in the images are nine-spoke wheels, the same one offered on the Thunderbird 350X and theThunderbird 500X, however, we believe that the alloys on 650 twins will have a newer design. The benefit of having alloy wheels on a motorcycle is that the punctures can be repaired easily, however, the spoke/wired rim is much stronger. The recently Royal Enfield teased the Trials 350 and the Trials 500 and are slated to be launched on March 26, 2019. The Trials motorcycles feature a single seat with the pillion seat being swapped out for a luggage rack, off-road compatible knobby tyres, raised reinforced mudguards, as well as an upswept exhaust. Mechanically, the motorcycles may feature the same engines as their Bullet 350 and 500 counterparts with similar outputs as well. 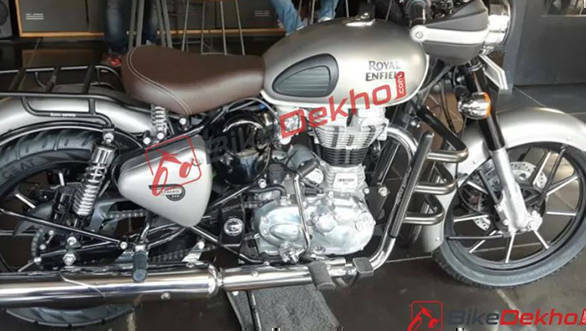 Royal Enfield may alter the tune of the engine, but no technical details have been confirmed as yet. In line with existing new models, the Trials 350 and Trials 500 will also feature dual-channel ABS as standard. Pricing is likely to be around Rs 1.7 lakh and Rs 2.2 lakh, respectively.